清潔劑製造業(Laundry Detergent Industry)—AS, AOS, Soda Ash, SPB, STPP, Salt Cake,Tooth Paste Powder, Zeolite. 電工及電子產品製造業(Electric & Electronic Industry)—Antioxidant(AO), PM, Fe2O3, Silica, Li2CO3. 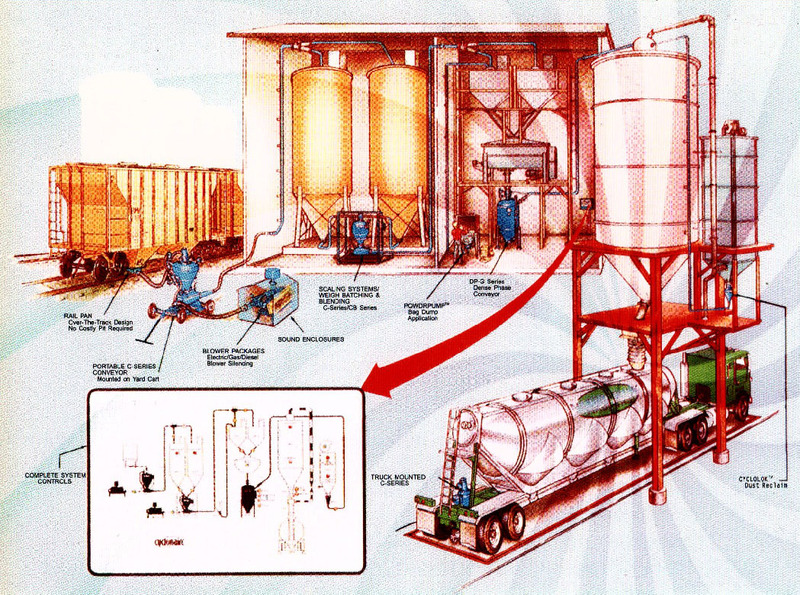 水泥工業(Cement Industry)—Cement, Clinker Dust, Fly Ash, Sand. 陶瓷工業(Ceramic & Tile Industry)—Ceramic Powder, Clay. 食品原料及加工業(Food Industry)—Flour, Rice, Sugar, Corn, Coffee, Pepper, Salt, Potato Chip. 飼料及肥料工業(Animal Feed & Fertilizer Industry)—For Chicken/Pig/Fish Feed, Organic Fertilizer. 化學品工業(Chemical Products)—Flame Retardant, Lubricant, Additive, Stabilizer, Pigment. 礦冶工業(Mineral Industry)—Alumina, Bauxite, Ca(OH)2, CaCo3, Coal, Tio2, Kaolin, Magnesite. 空氣污染防治工程業(Air Pollution Protection Industry)—Bottom Ash, Toner. 橡膠工業(Rubber Industry)—Carbon Black, SBR, NBR, EPDM, BR, Neoprene. 電力工業(Power Industry)—Fly Ash, MgO, Solidation Powder For Nuclear Waste.